Crosspointe Consulting Group specializes in software training and classes through instructor-led, adult education for law firms, professional services firms, non-profit organizations, government agencies and commercial enterprises. Through TRAINING and EDUCATION, participants learn how to get the most from the investment they made in their software programs and applications. 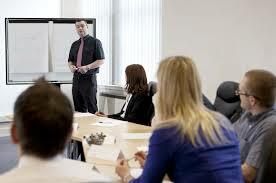 Classes can be on-premise in a formal training setting, or be delivered remotely via web training. They can be customized to take your workflow and procedures into account. Supporting materials can be delivered via printed handouts, or placed within your firm’s intranet for download. We also offer follow-up floor support and/or post-training analysis. In short: We don’t talk AT you, in a canned setting; we work WITH you. When you invest in a program, you own 100% of it. Whether you want a “Lunch ‘n Learn” session, or a formal course of training with customized material, let our certified experts provide the training you need to help you achieve your goals for your operations. Sign up to receive our blog posts with tips & tricks, product reviews and the latest tech news.